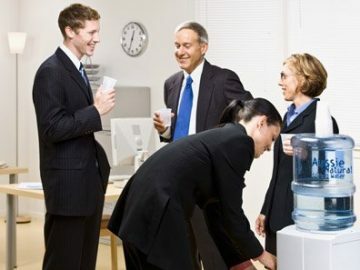 Aussie Natural > Blog > How Do You Choose the Right Cool & Cold Water Cooler Dispenser? The demand for instantly delivered cool and cold water has led to an increase in the use of water dispensers. 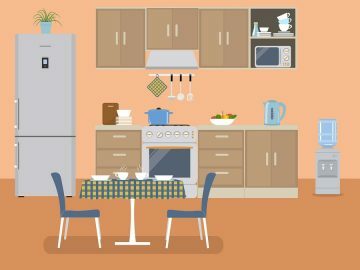 You may already be familiar with these kinds of units in a commercial location, but they are now being used domestically in many homes. If you’re thinking about renting a unit like this, you may be wondering how they work and what the benefits are. Let’s take a closer look to determine if a water dispenser could be the right choice for your home or business. There are many different styles and sizes of water dispensers available, but essentially there are only two different types. Some dispensers are fed using replaceable bottles, and others are plumbed directly into the water supply. Both kinds of dispensers deliver filtered water, but they have an entirely different approach. Bottle fed water dispensers are refilled with bottles of natural spring water when the bottle needs changing. A mains fed unit will be fitted with a filtration system that filters mains water to improve the quality. So Which Type of Dispenser is Best? This is a hard question to answer, as a cold water dispenser for office use in one location may not be ideal in another. A unit that is plumbed into the mains water supply will require plumbing work to be carried out and the filters will need to be changed regularly. A bottle fed water dispenser is less work to install, but any spare bottles will take up space. Spare bottles can be stored on racks, and a quality local water company can usually deliver water bottles direct to your business or home. This offsets some of the perceived disadvantages that some people may have about choosing a bottle fed system over a mains fed unit. Which Type of Dispenser Has the Best Quality Water? A mains fed water dispenser will have adequate filtration to provide a cool drink of water with that unpalatable tap taste removed. This may be enough for some people, but others desire a better quality of water. 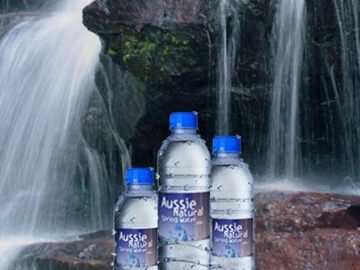 At Aussie Natural we provide locally sourced spring water in our bottles that tastes great. This water is ideal for both drinking and food preparation, and it provides excellent quality at a very reasonable price. 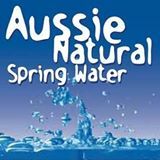 If you’re interested in renting a cold water dispenser for home or business use, contact us here at Aussie Natural. We have a wide variety of high quality water products for sale and rent, including water dispensers. Replacement bottles of water are delivered directly to your door for your convenience. Our monthly rental prices are very reasonable, but significant savings can be made for annual rentals. Get in touch with us; we look forward to discussing your needs in greater detail.